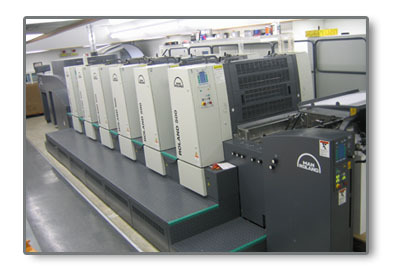 2004, 5 color sheetfed press with inline coater. PECOM electronic process control system. Automatic plate loaders. Maximum sheet size of 23" x 29". Maximum press speed of 18,000 sheets per hour.